The saying goes that once you dive the waters of the Island of Cozumel, non-other will suffice. The warm, clear, turquoise waters are filled with an assortment of tropical fish that gives you the feeling you have just dove into a gigantic aquarium. Whether you be a novice, intermediate, advanced or expert diver, Cozumel has the perfect dive spots for you. There are some twenty miles of spectacular reefs. 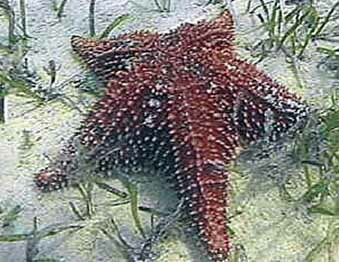 The men and women of the world who are sea-life observers come to Cozumel. Depths range from 10 foot to 100 foot and the water conditions vary from light to strong. Whether you enjoy snorkeling, beach sunning, fishing, windsurfing, diving and/or parasailing - Cozumel will accommodate beyond your wildest expectations. The Villa Blanca Wall is for Intermediate. A sloping wall with huge sponges and gorgonias, big schools of jacks and angelfish - 50 to 100 feet. Paradise Reef is rated for the novice, with abundant marine life, corals, sponges, and makes for an incredible night dive for any diver. Chancanab Reef is another novice rated dive. The only reef that you dive north so south, due to the unique current flow and an abundant marine life - max 55 feet.San Francisco Reef is rated intermediate. This is a shallow wall dive with abundant marine life - 35 to 50 feet. Punta Tunich is rated intermediate and is a vibrant, colorful reef but the current is so swift it is like flying underwater - 80 to 120 feet. The Columbia Reef is rated intermediate to advanced. The coral overhangs an impressive drop-off. Larger marine life including turtles and stingrays - 60 to 100 feet. Before undertaking any dive you should check with your diver operator. Some of the dives can be extremely demanding. 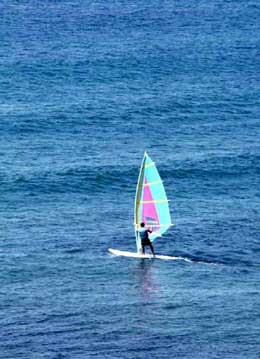 The beaches on the west coast are recommended for just about any water sport. The waters are calm and the beaches are golden. They include: Playa San Francisco, Playa San Juan and the Chankanaab Lagoon. The beaches on the east coast have rocky shores for the most part - some are not and are smooth. The ocean water is made of strong currents and undertows and are less frequented. They include: Punta Chiquero, Chen Rio and Punta Morena. 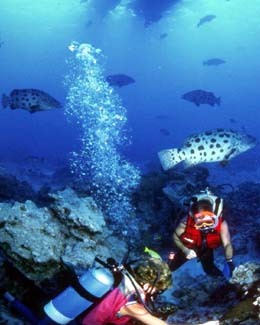 The ecosystems on the reefs is taken very seriously by the people of Cozumel. It takes thousands of years to build coral reefs and they are home to a host of marine species. Coral reefs are marine structures built slowly by small animals called coral polyps. The Marine Park's goals are to protect the island's natural recourses.